You haven't made it as a writer until someone is asking you for the tricks of the trade. 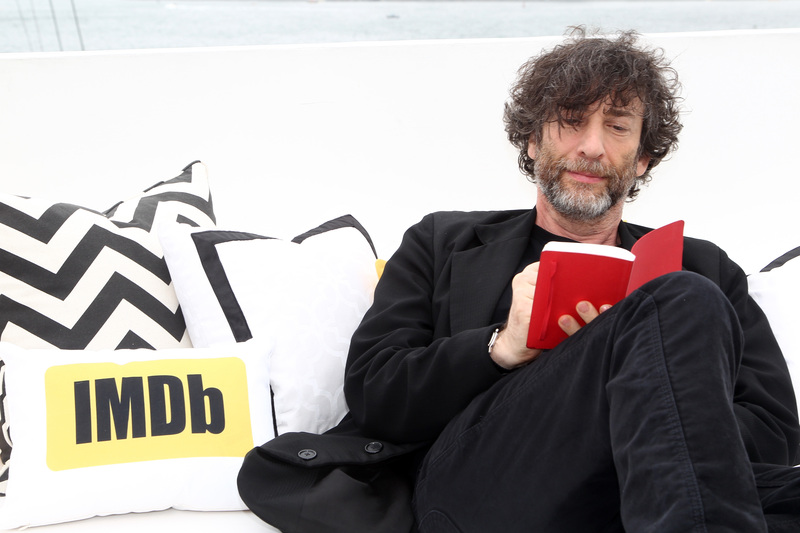 Stephen King, Ray Bradbury, Annie Dillard and more have published books about the craft, but when I want to be inspired, I scour books and blogs for writing advice from Neil Gaiman. Neil Gaiman has received an almost countless number of awards for his short stories, novels, comic books, and graphic novels. The only thing more impressive than his resume is his books themselves. From The Sandman to The Graveyard Book , American Gods to Coraline , Gaiman's books are overflowing with imagination, unforgettable characters, and superb writing. How does he do it? Luckily, Gaiman isn't stingy about sharing the keys to his success. Through interviews, essays, his own blog, and even Tumblr, Gaiman has shared his inspirations and motivations for writing, his theories on what makes a writer successful, the tricks and techniques every writer should know, and the rules of writing by which he lives. So if you need a little inspiration or an extra push to get you started, here are 11 pieces of Neil Gaiman writing advice that just might help you publish a bestseller of your very own. — Neil Gaiman, "8 Rules of Writing"
2. "Read everything you can lay your hands on. Read the ‘classics’ in whatever areas of writing you want to work in, so you know what the high points are. Read outside your areas of comfort, so you know what else is out there. Read." 3. "Tell your story. Don’t try and tell the stories that other people can tell. Because [as a] starting writer, you always start out with other people’s voices — you’ve been reading other people for years… But, as quickly as you can, start telling the stories that only you can tell — because there will always be better writers than you, there will always be smarter writers than you … but you are the only you." 5. "How do you do it? You do it. You write. You finish what you write." —Neil Gaiman, "Advice to Authors"
6. ""Don’t obsess over grammar. If you have to obsess, obsess over clarity. Write as clearly as you can. When it works, there’s a magic in writing: you can get an idea out of your head and into someone else’s. That’s your goal." 8. "If you’re only going to write when you’re inspired, you may be a fairly decent poet, but you will never be a novelist — because you’re going to have to make your word count today, and those words aren’t going to wait for you, whether you’re inspired or not." 10. "The best advice I can give on this is, once it's done, to put it away until you can read it with new eyes. Finish the short story, print it out, then put it in a drawer and write other things. When you're ready, pick it up and read it, as if you've never read it before. If there are things you aren't satisfied with as a reader, go in and fix them as a writer: that's revision."